Joyeux Noël de Genève– Merry Christmas from Geneva. 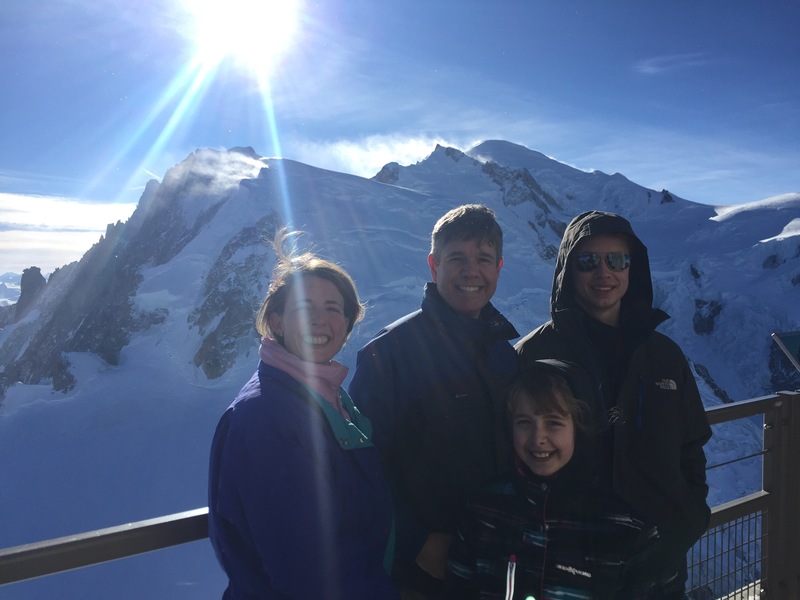 Our family’s Christmas Eve in Geneva, Switzerland, began with a trip to the top of Europe where we visited Chamonix to see Mont Blanc. 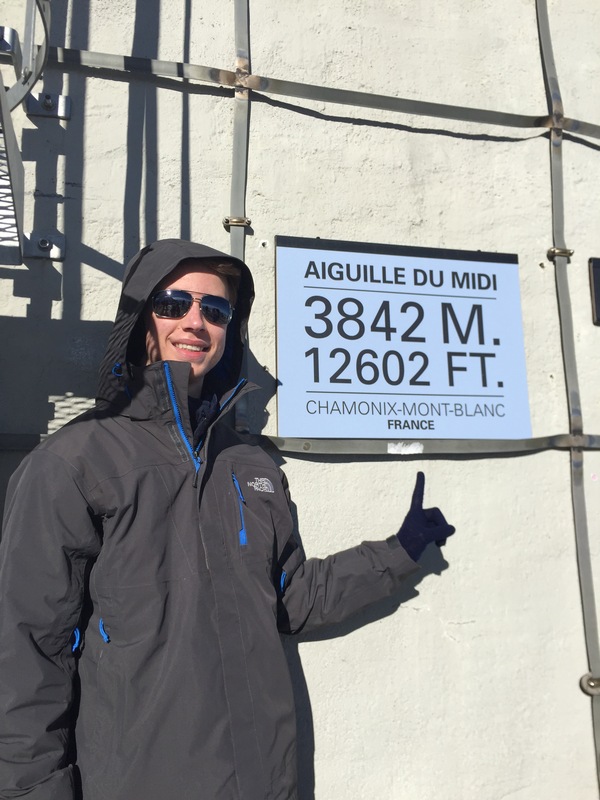 From the town of Chamonix, we rode the Aiguille du Midi cable car up the mountain for a view of Mont Blanc. The ride is pricey, but the views of the Alps are beautiful and worth the splurge. The crowd on Christmas Eve was small and wait times short. Our time at the top was breathtaking. In fact, there is an exhibit on the physiological effects of high altitude, which is worth exploring. 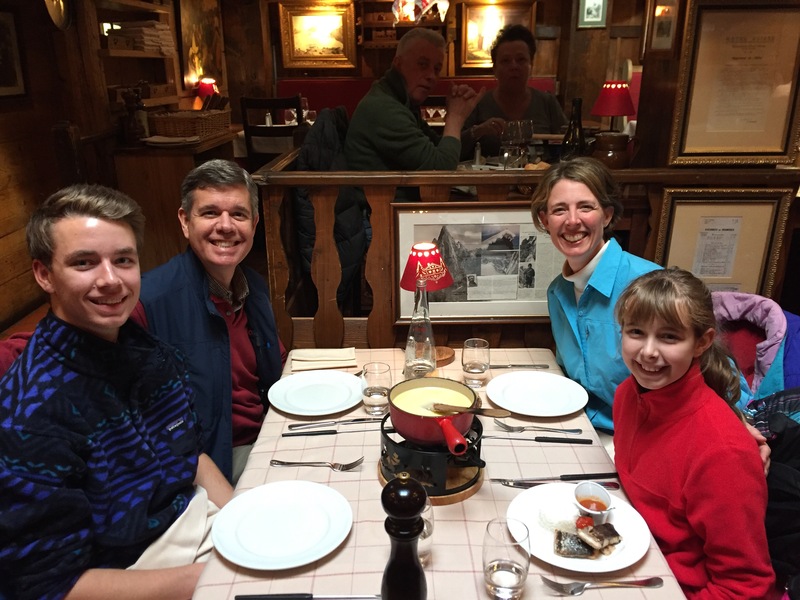 Our next stop was La Calèche restaurant in Chamonix for fondue. The waitstaff was warm and helpful, and they graciously spoke to us in English even as we ordered in French. The cheese was fantastic, and dessert was a great surprise. We enjoyed profiteroles, which had delicious vanilla ice cream, whipped cream, and hot chocolate sauce. We will try to recreate them when we return home. 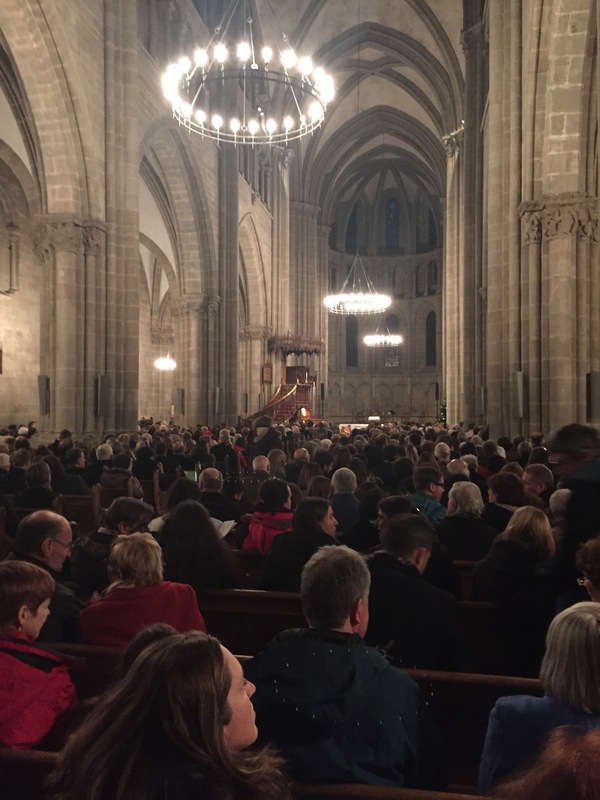 We returned to Geneva as the sun set, just in time for an organ concert and Service of Lessons and Carols at St. Pierre Cathedral. The cathedral is the place where Protestant Reformer John Calvin (1509-1564) preached during the sixteenth century. Worshippers filled the nave for the multilingual service. 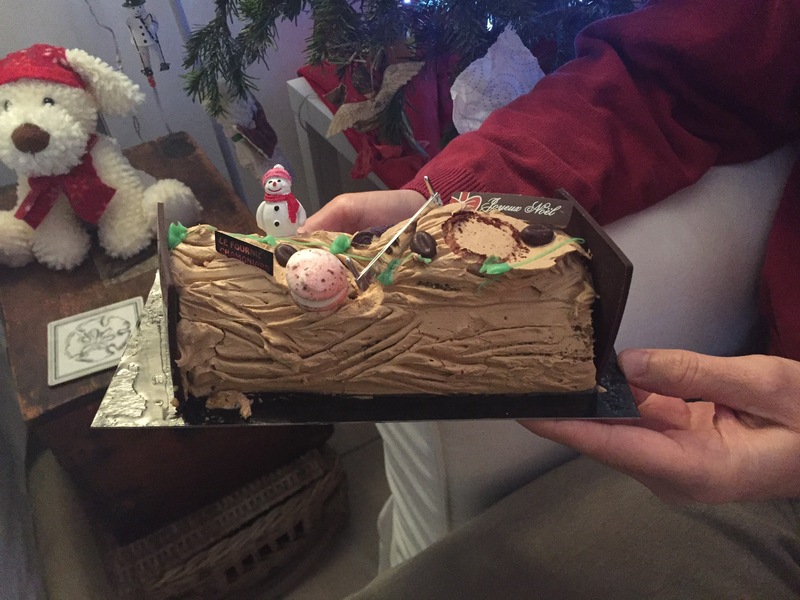 We returned home to share a Bûche de Nöel and wish one another Joyeux Noël, Merry Christmas. 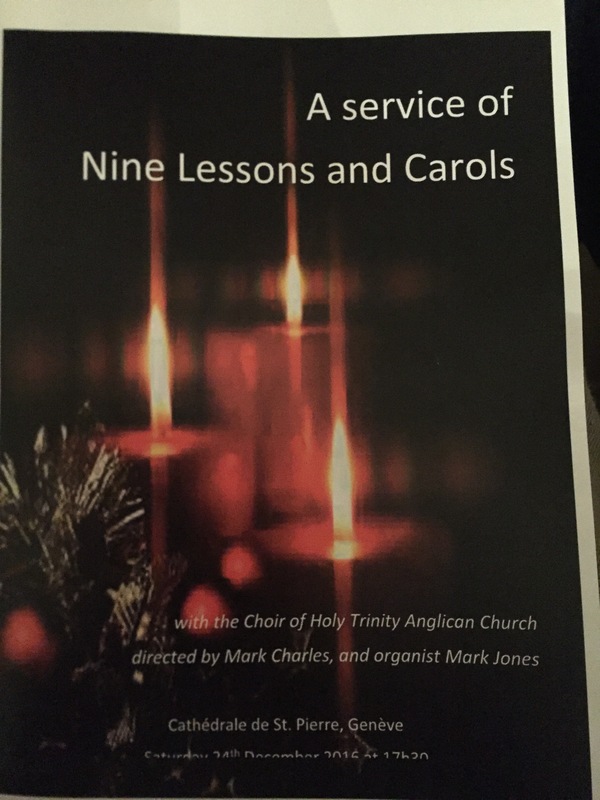 It was a special day and a celebration of Christmas that we will cherish for years to come. Joyeux Noël de Genève — Merry Christmas from Geneva. 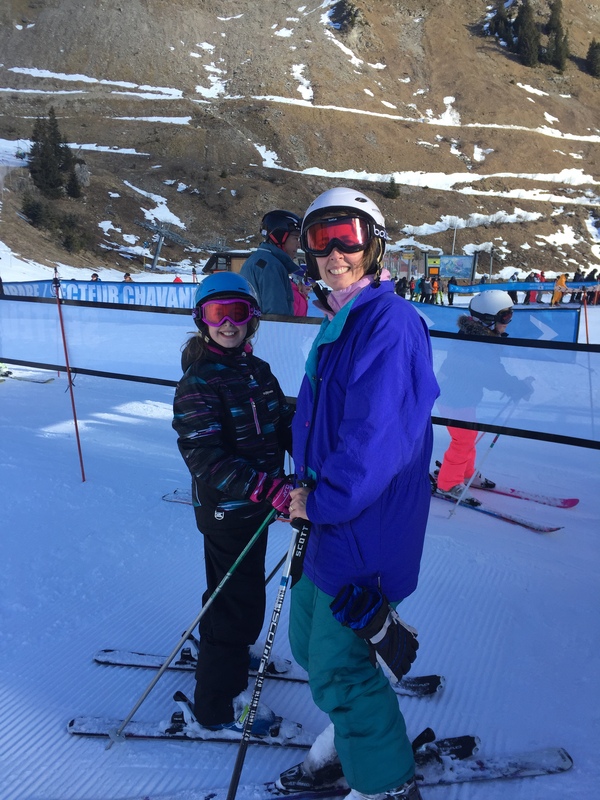 This entry was posted in Family Travel, Switzerland, Travel on December 26, 2016 by Dean Allen. Eighteen months have passed since our family of four completed our round-the-world adventure. Being home is wonderful, but our family also loves being on the road together. One of the delights of traveling together is the sense that the four of us — my wife, son, daughter, and I — are on a special adventure. We encounter new places and new people, we get lost and find our way, and most importantly, we do it together. After a year-and-a-half at home, we are on the road again. This time, we are in the Alps. We are house-sitting for a wonderful family as they take a holiday to Lapland. 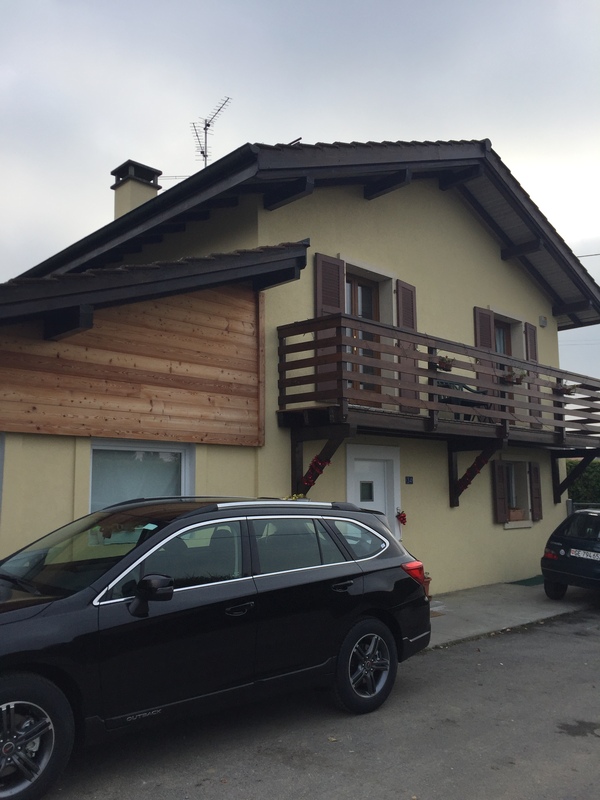 They live in Geneva, Switzerland, in a beautiful home with great views of Lake Geneva and Mont Blanc. And, we are about an hour from ski slopes in the Alps. 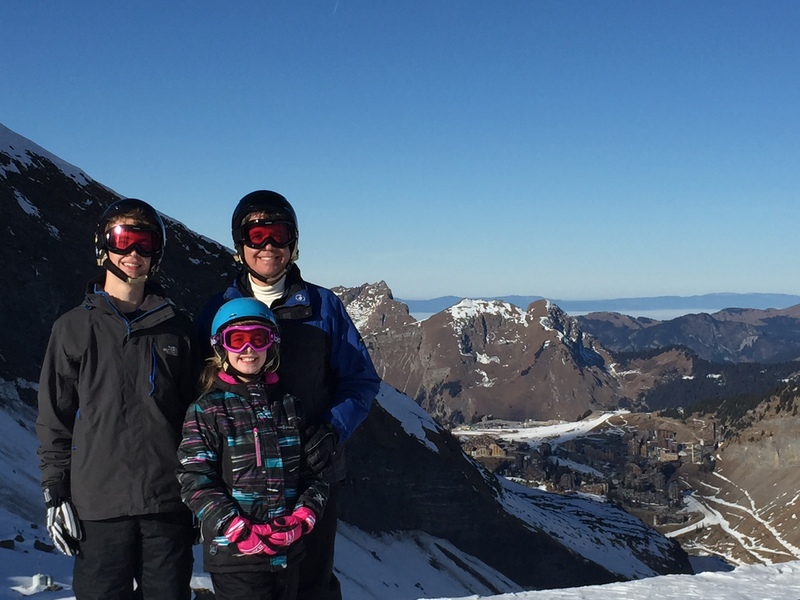 We hit the slopes on a beautiful day in Avoriaz, France. The day started out with foggy weather, but by the time our skis touched the snow, the sky was clear and blue. The snow has not been plentiful this season, and many locals have kindly expressed their concern that our experience may be less than optimal. For us, though, it was a grand day. Ah! It is wonderful to be on the road again! This entry was posted in Travel on December 22, 2016 by Dean Allen.